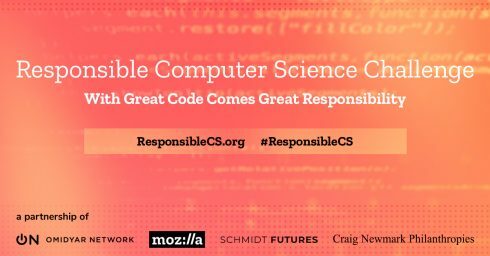 Mozilla is calling on professors to integrate ethics into computer science courses and has announced a competition called the Responsible Computer Science Challenge. As part of the challenges, professors will work to conceptualize, develop, and pilot curricula that integrates ethics with computer science, and hopefully scale that to universities across the country. The challenge is a joint effort between Mozilla, Omidyar Network, Schmidt Futures, and Craig Newmark Philanthropies. Qordoba has announced $11.5 million in Series B funding. The round was led by Aspect Ventures, with participation from Upfront Ventures, Rincon Ventures, Broadway Angels, and Michael Stoppelman, the co-founder of Yelp. The funding will be used to accelerate “EQ-AI,” which helps computers understand human emotion in text through the use of deep learning models, according to the company. New Relic has acquired container and microservices company CoScale. New Relic hopes that this acquisition will help them with their goal of helping increase the number of companies that are adopting architectures that use containers and microservices. “We look forward to the team members’ talent, experience, and expertise with monitoring modern software architectures—particularly containers, microservices, and Kubernetes—optimized for large and dynamic production environments. They’ll be a great complement to the teams working on New Relic Infrastructure,” New Relic wrote in a post. NuoDB has released the latest version of its database. According to the company, NuoDB v3.3 enables the shift that is happening in the industry as a whole towards container-based environments. It adds new container-native features, as well as availability to Red Hat OpenShift Container Platform.